Counting lights - Getting excited. Yep. We truly get a kick out of getting to show you how much you're going to save by switching to energy efficient LED lighting in your business! We are incredibly proud that one of our two offices is located in beautiful Greenville NC. The Emerald City is rich with natural beauty, recreation, art, and business. We are so thankful for the opportunity to provide this great city with efficient and energy saving industrial and commercial LED Lighting solutions. The very first step of our process is absolutely free. During our audit, we will assess what is going on with your business’ current lighting situation. We come to your business to start counting your lights and assessing what kind of bulbs you're currently using. We get really excited when you are using those big ol' 450-1000 watters. That means we're going to be able to save you a TON of money! Next, we will develop an LED lighting plan that is perfect for your space. Our plan will breakdown the pricing and financing, the rebates you will receive from the TVA, and the tax incentives you will receive after the installation is complete. Our licensed and insured contractors will install your LED lights around a schedule that works for you. After installation, you will definitely notice better lighting and cost-effective operation. The good thing about our commercial LED lighting products is that they come with 5-10 year warranties. If you have a bulb or two go out for whatever reason during that time, call us and we'll get them replaced for you at no cost! We get really excited when we get to tell you just how much money you’re going to save when you make the switch to LED. Every single estimate includes the lighting chances and cost/benefit analysis, as well as: Maintenance Savings, Rebates, and Tax Incentives once you’ve transformed into an energy efficient business. About one-third of your business’ energy usage comes from lighting. Savings can also climb to 40-45% and sometimes 60%. And we're not even factoring in maintenance, HVAC and other non-utility savings. 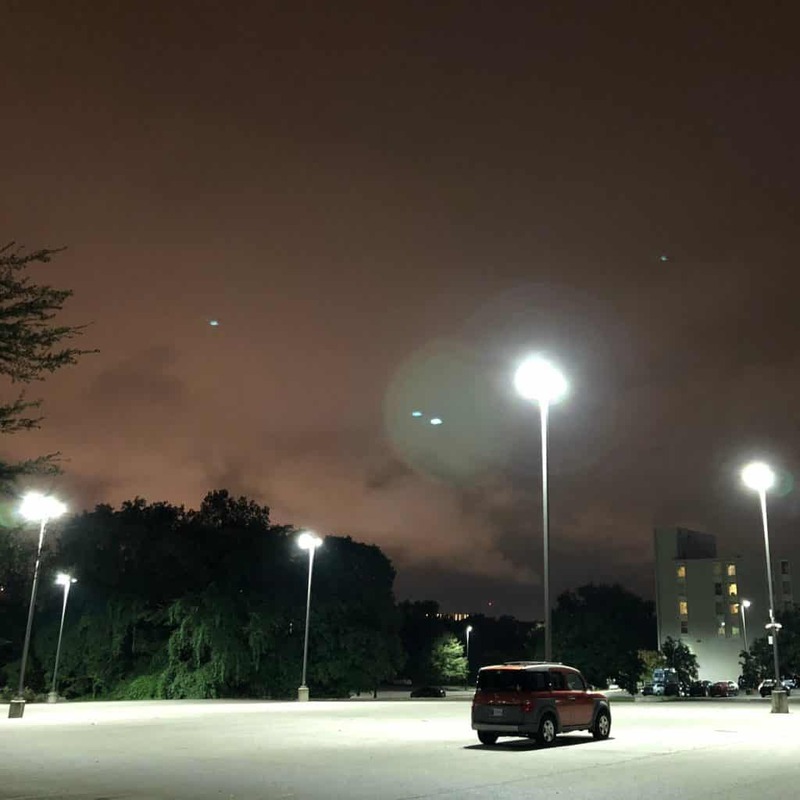 Big Dot Lighting can convert your business to energy efficient LED lighting with no money out of pocket with a typical break-even point occurring in under 30 months. Your project will be cash-flow positive on day one! 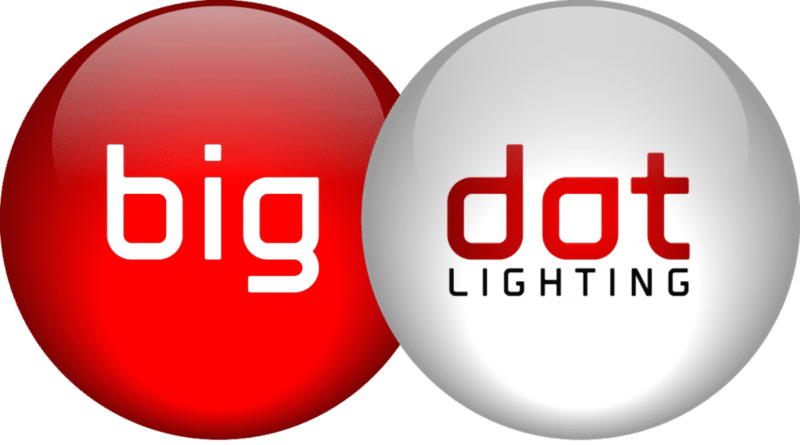 Big Dot Lighting deploys commercial LED bulbs and fixtures that are able to last 50,000+ hours. Plus with our 5-10 year warranties, you can zero out the lighting maintenance line item in your operating budget during those timeframes! It's good to know people. Especially those who want to reduce the strain on our electrical grid. We are partners with various regional and national utility providers and work closely with them to help our clients acquire any available rebates to help convert their businesses to energy efficient commercial LED lighting. Converting your business to LED lighting could earn you Energy Star and LEED certifications. It's the cherry on top! Efficient lighting to keep you up and running. The perfect lighting for companies big or small. More about our lighting and maintenance program. The average 2x4 fluorescent troffer puts off about a human body's worth of heat. Multiply that by the number of lights in that particular office along with the humans occupying said office and that's quite a bit of heat! Energy efficient LED lighting puts off very little to no heat. LEDs have a 50,000+ hour average lifespan. Extreme low maintenance + Typical lifespan of ten plus years = No need to change bulbs as often. The Color Rendering and Quality are better than Fluorescent or CFL, plus they're dimmable. They do not produce harmful U/V or fade merchandise in your display area. Car dealership? Fluorescents have been shown to zap the batteries in the cars on your showroom floor even if they're disconnected. Plus they make the new models look AH-mazing. Have to contend with varying temperatures and environments? Bring it on. Plus on the rare occasion that they do bust, they're not filled with hazardous gas! "We were spending a ridiculous amount of money each month trying to light our showroom and the worst part was the lights we had weren't even doing a good job! Dim lighting doesn't do much for $100,000+ cars when you're trying to sell them online. Big Dot Lighting came in and decked the showroom of with BDL's Quickstrip LEDs at 5k color temp and now our cars literally pop off the photos and created a noticeable boost in engagement for sales. Plus, the showroom's utility bill is now lower than my own home's - it's a win, win." Let us know you're tired of paying an exorbitant electric bill, we'll ask you some brief questions, and then we'll schedule you for your free TVA energy audit. We'll come out and count your lights and assess the bulbs you're currently using, draw up a custom solution to retrofit your business, and review the specs with you. Our licensed and insured contractors will come out and install your 5-10 warrantied LED lights around your schedule. We leave your space as good as when we found it. Yep. We truly get excited when we get to show you how much you're going to save by switching to energy efficient LED lighting in your business. We think every business needs to see how they can trim down on their expenses, especially when it could potentially cut their monthly electrical bill in half! Copyright © 2019 Big Dot Lighting | All Rights Reserved.